According to those in the know, the first wedding anniversary gift should be something with paper. The fifth is something with wood. You really have to wait until you hit twenty years for gifts to start rolling in featuring china, silver, pearls and gold. 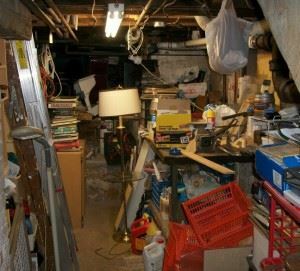 The best anniversary gift is always a surprise and nothing would be more surprising then for your spouse to come home to find all the junk has finally been removed. You’ll be amazed at how quickly and affordably you can accomplish that task when you’ve got Junk King on the job. When you set up your junk removal appointment with Junk King, you’ll be asked to set aside a two-hour window. This will give the teams plenty of time to get from one location to the next. Usually, the crew will show up long before those two hours are up. This means you can send your spouse out for a nice lunch with friends and when they return home, the place will be spotless! As soon as the Junk King crew arrives on the scene, you’ll show them all the things you want removed. You won’t have to pull anything out of your house or bring it up from the basement. The Junk King team is going to do all the work and that includes any heavy lifting or climbing stairs. The crew also works fast. They’ll be in and out before your know it! Keep in mind, that junk removal isn’t limited to those things on the inside of your house. You can instruct the Junk King team to pick up all kinds of yard waste and piles of clutter from around your yard. As long as you’ve got the crew and the truck, why not put them to work removing all your stuff? When your special someone returns home to find all the clutter has been cleared out, they might ask what happened to it all. You can proudly proclaim that it has been recycled or donate. Junk King makes a point of repurposing the bulk of what they collect at no extra cost to you. Speaking of cost, you’ll find that Junk King’s rates are extremely affordable. They charge by volume and not by the pound. That makes a huge difference. If you want to give a special anniversary gift, consider junk removal with Junk King. It’s sure to be a winner! This entry was posted in Denver Junk Removal and tagged Junk King, junk removal on July 23, 2015 by Paul Durant. Last updated August 1, 2017 .